It's been a looong time since I've gotten my hair cut. Needless to say......I'm REALLY excited!! One and a half more days of school and the kids are officially on winter break, yeay!! I gave tonight's cocktail 4 shots out of 5. This cocktail is a good one. You can almost taste every ingredient in a certain order when you take a sip. First I get the Kahlua flavor, after a couple seconds the Baileys kicks in for a brief second and then it's a pepperminty surprise at the end. Very interesting, I must say! These three ingredients go pretty well together. Whenever you have Baileys and Kahlua together (in my opinion) it's always a good mix. I found tonight's cocktail at mixthatdrink. In a shaker, add ice and all of the ingredients above. Shake and strain into a red & green sugar rimmed martini glass. Here's to enjoying Christmas Cookies two different ways! If you sub cinn. schnapps for the mint it's a gingerbread cookie and AMAYZING!!!! Sorry, Renee, but mine was definitely NOT amazing in a good way. I was out of mint, so I tried your version. It tasted much like medicine. :( I wonder if the type of cinnamon makes a difference? I had the Hot D@mn kind. Maybe if I'd used only half the cinnamon? It was really overpowering. 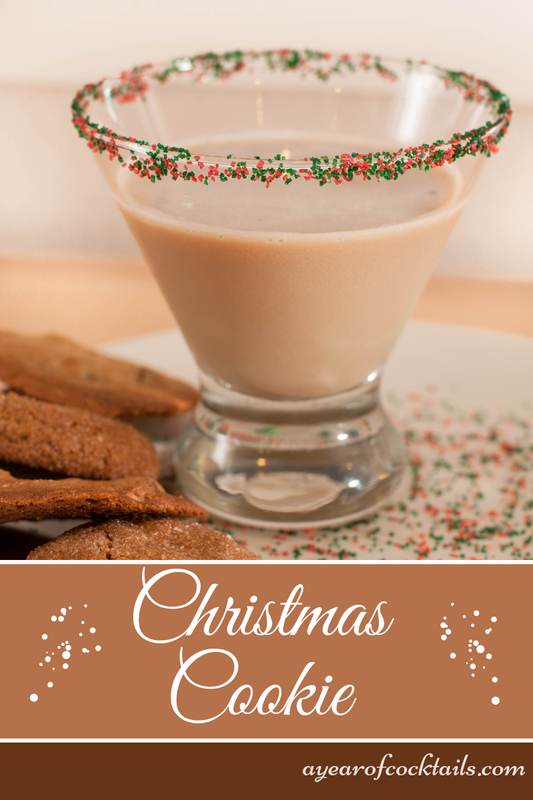 I also used St Carolan's Irish Cream rather than Bailey's. That's been interchangeable for any other recipe, so I think it had to be the schnapps. Bummer. I was really hoping to find something to use this cinnamon stuff in, but I did not care for this cookie at all.